The best way to get to know a community is by scheduling a tour. See the facilities, meet the staff and residents, and get a feel first hand what it's like to live at St. John's Meadows Assisted Living. The serene charm of a Meadows country-like setting draws visitors into a senior community bustling with vitality and opportunity. 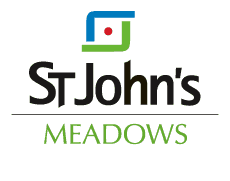 More than 400 active seniors plus friendly, knowledgeable staff make up St. John's Meadows, offering independent living and enhanced assisted living. Located on 35 acres in the heart of Brighton, St. John's Meadows has country beauty with all the convenience of a lively senior community in one package. Above all, we have listened to seniors and incorporated the amenities they cherish most in a retirement community... value and choice. Residents at St. John's Meadows choose a lifestyle and a neighborhood, sign an annual lease and make monthly rental payments. Residents find St. John's Meadow's Satisfaction Surveyflexibility one of the best values in a senior community lifestyle full of friendships, exercise, activities, beauty, and choice. Residents have more time to do the things they like to do, as lawn care, snow removal, window washing, and other chores are taken care of for them. Outside your door, an active, stimulating and social lifestyle awaits should you choose to participate. Also, to ensure peace of mind while living at the Meadows, a personal emergency response system is included in every Cottage and apartment.